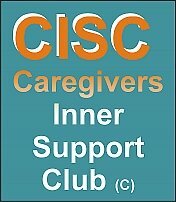 Join the *Caregivers Inner Support Club (c)* (CISC) and get all the webinars on this web site FREE delivered monthly to your inbox … *PLUS* all the other inclusive benefits as listed below. Hi, thanks for visiting this page. Then you know that there isn’t a lot of support for us out there – just like I have found. I mean real “personal” support. There’s a lot of government and organization web sites, and that’s great, but you have to wade through for specific information you need which is not always there -- and for real connections and conversations with other caregivers. We need conversation. We need to “talk” to one another about personal issues and help one another with support and encouragement. Get my FREE report, “The Role and Support of Caregivers in Today’s Growing Senior Population” at this link. *1. Weekly articles on topics and issues concerning caregiving, boomers, seniors, and retirement. *2. Weekly tips and up-dates on news and issues of caregiving and caregivers. *3. Access to a web site where you can e-talk with myself and other caregivers who are going through the same things you’re experiencing. *4. Monthly webinar on issues of concern. *5. Bi-monthly teleseminars on specific topics. *7. Special webinars or teleseminars with experts in the field of caregiving and pre- and post-retirement issues. All that for only $20 per month. However you must do it now because I don't know how long I can keep it at that special.